Looking for a position for next year in the Jewish Communal World? 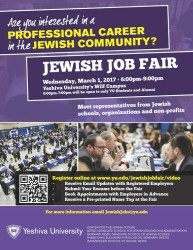 Looking to network with hundreds of Jewish Communal Professionals?? Want to set up interviews and have a pre-printed name-tag?